Predicts likelihood that biochemical thyrotoxicosis is thyroid storm. Use in patients ≥18 years old with biochemical thyrotoxicosis. Patients with thyrotoxicosis in the setting of systemic decompensation. Continuum of end organ dysfunction. High variability of symptoms and signs between patients. High mortality associated with missed diagnosis. Assigns points for dysfunction of thermoregulatory, GI, cardiovascular, and central nervous systems. Given the high mortality/morbidity associated with thyroid storm, the BWPS intentionally utilizes liberal criteria, which may also lead to false-positives. Elderly patients may present with apathetic thyrotoxicosis with atypical symptoms (weakness, memory loss, obtundation, cardiac failure). Serum levels of T4 and T3 do NOT correlate with severity of thyrotoxicosis. Presence of jaundice suggests especially poor prognosis. Ultimately, thyroid storm is a clinical diagnosis and requires prompt recognition and treatment. Can help distinguish uncomplicated thyrotoxicosis from “impending” storm or established thyroid storm. BWPS ≥45 is highly suggestive of thyroid storm; consider rapid and aggressive multimodal management in ICU. BWPS 25-44 suggests impending thyroid storm; consider thionamides, symptom management. Consider ICU monitoring. BWPS <25 is unlikely to represent thyroid storm; investigate diagnosis of thyrotoxicosis (Graves disease, toxic adenoma, toxic multinodular goiter, subacute thyroiditis, exogenous levothyroxine, struma ovarii) and obtain additional imaging (thyroid ultrasound, radioactive iodine uptake and scan). Search for potential precipitant(s) of thyroid storm: infection, thyroidal/nonthyroidal surgery, medications (anesthetics, pseudoephedrine, amiodarone), iodinated contrast exposure, DKA, exogenous thyroid hormone, CVA, MI, PE. Avoid aspirin because it displaces T4 from thyroid binding globulin, resulting in increase of free T4. TItrate beta blockers carefully as excessive doses in thyrotoxic patients can cause cardiovascular collapse. Besides reducing T4 to T3 conversion, steroids provide adrenal support, which can be impaired in thyroid storm. The BWPS is based on a retrospective analysis of patients diagnosed with thyroid storm and was validated retrospectively against their medical records. American Thyroid Association (ATA) guidelines (2011) include the BWPS as diagnostic criteria for thyroid storm. Overall, comparison of JTA criteria to BWPS demonstrated that of the 406 patients diagnosed of thyroid storm or impending/possible thyroid storm, 354 were identified as such by both scoring systems. Although these 2 scoring systems are mostly concordant, 41 additional patients were found to qualify for treatment by the BWPS, suggesting that the application of BWPS may lead to more aggressive treatment approach. Burch HB, Wartofsky L. Life-Threatening Thyrotoxicosis. Thyrotoxic storm. Endocrinology and Metabolism Clinics of North America . 1993; 22(2): 263-77. Nayak B, Burman K. Thyrotoxicosis and thyroid storm. Endocrinol Metab Clin North Am. 2006 Dec;35(4):663-86, vii. Bahn RS, Burch HB, Cooper DS, Garber JR, Greenlee MC, Klein I, Laurberg P, McDougall IR, Montori VM, Rivkees SA, Ross DS, Sosa JA, Stan MN; American Thyroid Association; American Association of Clinical Endocrinologists. Hyperthyroidism and other causes of thyrotoxicosis: management guidelines of the American Thyroid Association and American Association of Clinical Endocrinologists. Endocr Pract. 2011 May-Jun;17(3):456-520. The American Thyroid Association and American Association of Clinical Endocrinologists Taskforce on Hyperthyroidism and Other Causes of Thyrotoxicosis, Rebecca S. Bahn, Henry B. Burch, David S. Cooper, Jeffrey R. Garber, M. Carol Greenlee, Irwin Klein, Peter Laurberg, I. Ross McDougall, Victor M. Montori, Scott A. Rivkees, Douglas S. Ross, Julie Ann Sosa, and Marius N. Stan. Thyroid. June 2011, 21(6): 593-646. doi:10.1089/thy.2010.0417. Akamizu T, Satoh T, Isozaki O, Suzuki A, Wakino S, Iburi T, Tsuboi K, Monden T, Kouki T, Otani H, Teramukai S, Uehara R, Nakamura Y, Nagai M, Mori M Diagnostic criteria, clinical features, and incidence of thyroid storm based on nationwide surveys. Thyroid. 2012 Jul;22(7):661-79. 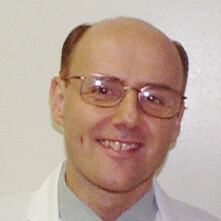 Henry Burch, MD, is an endocrinologist at the National Naval Medical Center in Bethesda, Maryland. He is one of two doctors at National Naval Medical Center who specialize in Endocrinology, Diabetes & Metabolism. His research interests include diagnosis and treatment of thyroid disorders.